This is the first Monday in my final week of academic classes EVER. 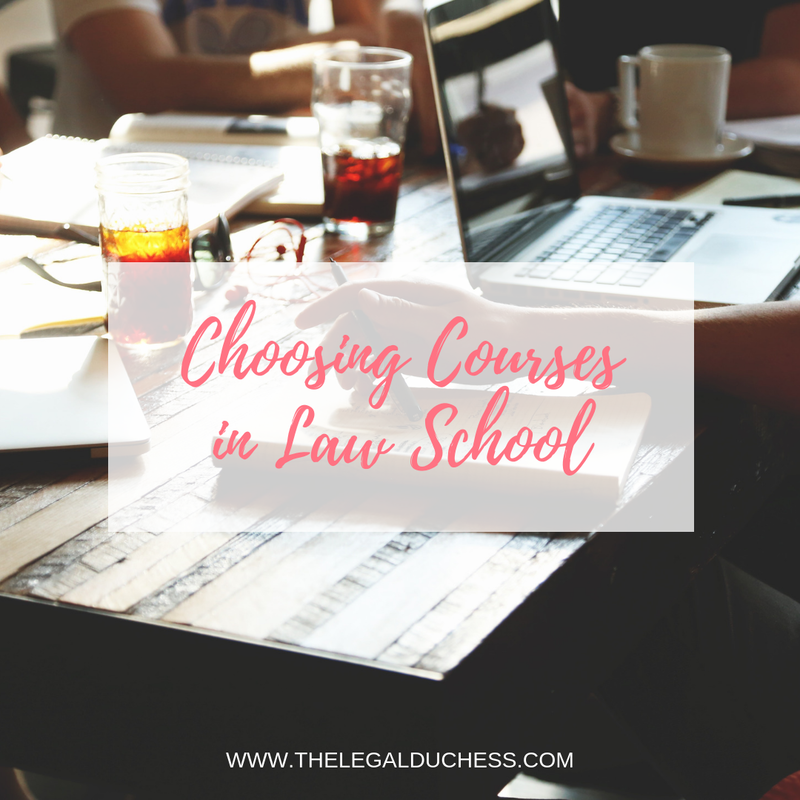 In addition to sharing that happy news, I am sharing all the tips and tricks I have learned about choosing and scheduling your courses throughout law school. I have had several people request a post on this topic so I hope it is helpful. 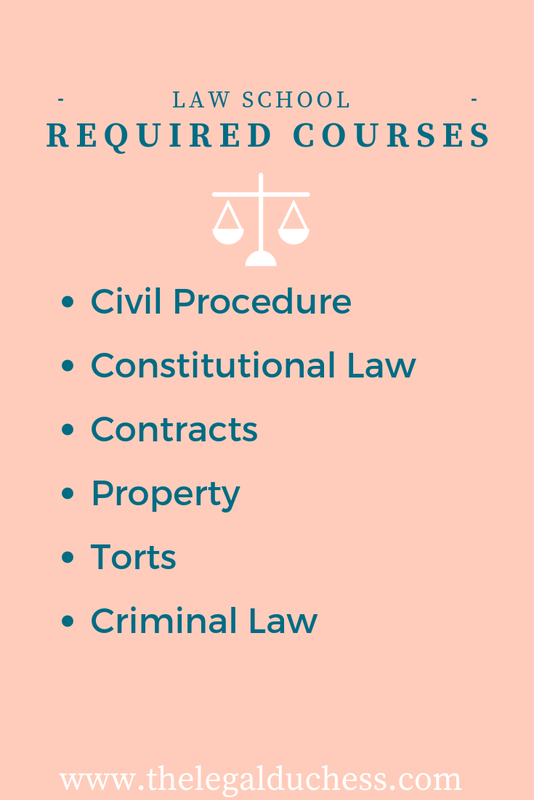 As most law students know, there are a series of classes that the ABA requires every law student to take in order to graduate. Additionally, there are a series of classes that will be tested on the state bar you choose to take that are highly recommended. Beyond that, you can choose to take whatever classes interest you. These classes you will not have a choice in taking. These classes are ABA mandated as something every law student must take and pass to graduate from an ABA-accredited law school. Most law schools make these classes the first year schedule but sometimes something is held over for the upper-level years. My school has some additional upper level required courses that you need to complete during 2L and 3L year. I think most schools have similar requirements to this list. The next category of classes I will discuss is Bar Tested Courses. Every state bar (and the UBE) have a different set of topics that will be tested on their bar exam. 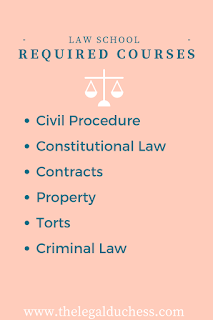 It is recommended to take as many bar tested courses as you can while in law school to make studying for the bar easier and to improve your chances of passing. I am taking the Ohio bar exam, so at the end of my 1L year I made a list of all the bar tested subjects in Ohio and which classes I could take at my law school that would inform me on those topics. I referred back to that list throughout my 2L and 3L year to ensure that I was taking as many bar tested subjects as possible to set myself up for success on the bar exam. I would highly highly encourage taking as many of these as possible. The end goal is to pass the bar and become an attorney. The more you can do prepare yourself and make bar prep easier, the better!!! In between required and bar tested courses, you can take whatever you want. These can be the classes in your preferred practice area or just things that sound fun. I tried to leave space in each semester for at least 1 or 2 classes of my choice. Some of my absolute favorite classes in law school are listed above. They were the classes I chose because I truly wanted to take them. As I have an interest in practicing criminal law, that was the focus of most of my free choice classes. Make some time in law school to take the classes that interest you and align with your prefered practice area. Another way to get credits in law school is clinics and externships. Many law schools run a clinical program and offer externship credit programs. These are great because it will actually get you into practice and putting your knowledge to use. I highly recommend doing clinics and externships. I did 7 credits worth and I loved every minute. My advice on choosing classes is simple: meet your requirements, take as many bar tested courses as you can and make sure to fit in some of the classes that interest you and you want to take.